Playing games is great for kids to learn sight words. If you have a child that needs to learn them for school you already know that practicing can get old very quickly! 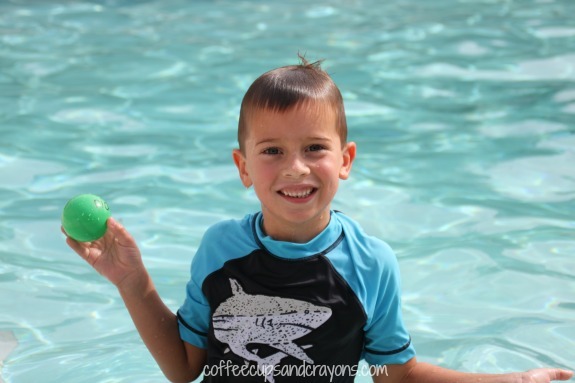 In order to make practicing more fun for my 5 year I decided to incorporate swimming, one of his favorite activities, into our game! To prepare the game I wrote 12 of the kindergarten sight words that he didn’t automatically know on some of our ball pit balls. We have hundreds and hundreds of those balls (if you saw last week’s Move and Learn post you saw we used them for our ABC Ice Cream Game too!) but any type of ball that floats, like a ping pong ball, will work. We reviewed the words and then threw them into the pool for him to get. He read them to us and then put them in the pile to throw again and again. He had a lot of fun swimming for sight words and was able to point out some of the new words from the game when we were reading together later that day. Woo hoo! For more Move and Learn activities make sure to check back each week! Hands on : as we grow and The Pleasantest Thing and I are having lots of fun with this active and educational series! Head over to see what they are sharing this week. 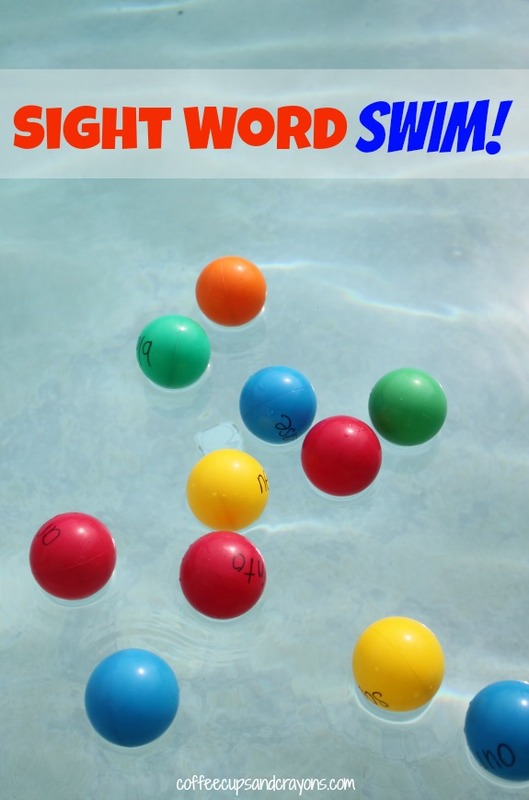 We are going to my mom’s pool tomorrow…and we might just be playing some sight word swim! The best thing about this game is that they don’t mind reading the same word over and over…yay for the pool! Perfect for us South Floridians! Thanks!! This is GREAT! My kindergartener comes home tired emotionally but still revved up physically from sitting still. I don’t want to practice with paper and pencil because he’s so over that by the end of the day. 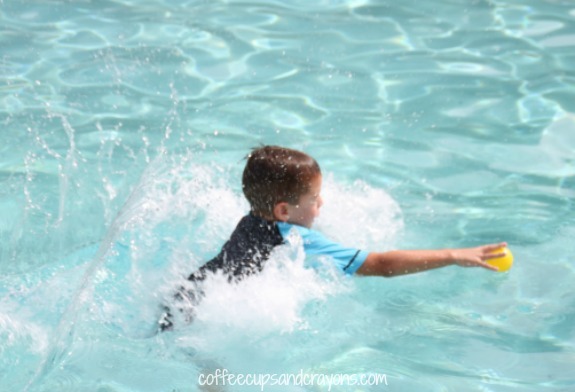 This looks like a great way to get out some of that pent up energy while practicing his sight words! Sharing! That describes all three of my kiddos too Jackie!!! When my oldest was in kindergarten I asked her teacher if you could play with the sight words and math facts instead of doing the assigned flashcards because I even I couldn’t sit still to do it!